* A nave that seats up to 750 people surrounded by large windows that allow an abundance of natural light into our worship space. * A narthex for us to gather and to accommodate larger numbers for our liturgical celebrations with accessible washrooms. * An Adoration chapel for personal prayer or small groups. * A parish centre with a large hall that can be partitioned into smaller spaces for social events; Kitchen facilities, accessible washrooms, and storage; a parking lot with a large capactiy for our services and events; gardens and outdoor space for quiet prayer and reflection; private offices and meeting rooms for our clergy and staff. 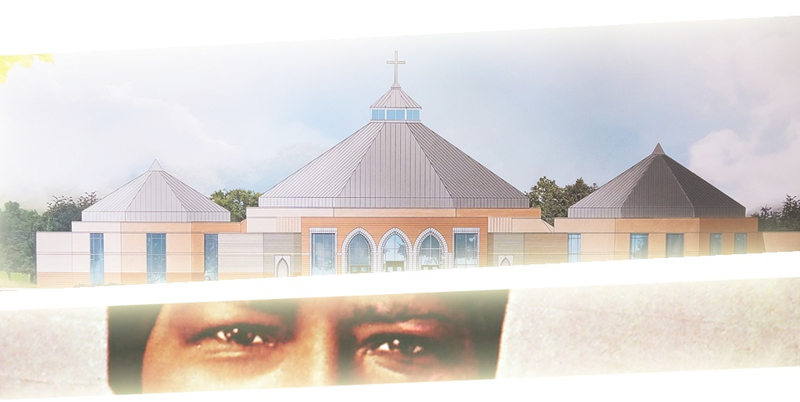 Your Participation in the Building Bakhita as a Family of Faith campaign will help build and strengthen our Catholic community as we come together to realize our goal of building a beautiful church. A church is more than a place of worship. Our church will be a central component to the community, fostering a sense of belonging and providing a place to gather and celebrate important events. We have an opportunity to leave a legacy to our children and future generations in the surrounding community by uniting and making our campaign a success. Your participation by making a sacrificial prayerful and meaningful gift is gratefully appreciated. Over the past 8 years, St. Josephine Bakhita Parish has been fortunate to have St. Joan of Arc Catholic Secondary School as a gracious host for us to gather, celebrate and worship. During that time we have made several meaningful strides in the process of Building Bakhita. The time has come for us to unite and make the most significant step as we launch our campaign to raise the required funds to break ground and build our church! Our Community is blessed with a large number of parishioners, many of whom have extremely generous. We offer several programs and services, thanks in large part to the undeniable generosity of caring volunteers. 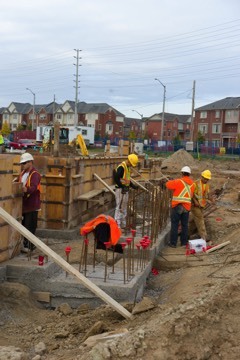 With a new building, we will be able to enhance our services and programs. I invite you to join us in our effort to raise up a house of God in northwest Mississauga for the proclamation of God's Kingdom. Pray also with us that we become a true community that will witness and proclaim, celebrate and share the hope and charity we have in Jesus Christ as exemplified by St. Josephine Bakhita, our universal sister and model of hope. The Mission of the Parish is to be a Catholic, multicultural community of faith, called to witness and proclaim, to celebrate and share the Hope and Charity we have in Jesus Christ as exemplified by St. Josephine Bakhita, our “Universal Sister” (John Paul II) and “Model of Hope” (Benedict XVI). •	A community of faith, committed to live the Greatest Love of Jesus Christ Crucified, and Mary, Mother of Charity at the foot of the Cross. •	A community of prayer, nourished by the Word of God, the Eucharist, and the traditions of the Church, reflected in the way we live and celebrate. •	A community that welcomes every woman and man, child and youth, of all cultures, to equal discipleship in Jesus Christ. •	A community that is missionary, open to the needs of the world, committed to the promotion of justice, peace, and the stewardship of creation. We believe that each one [of us] is called to be the strand that God will use to weave a tapestry in this place; a tapestry that will be intricate and exquisite. filled with the power of Your word and sacrament. our universal sister and model of hope.